We can develop the top-in-the-quality Deburring Machine that not only embodies user-friendly and functional features but also ensures remarkable processing capacity as well as peerless performance. For more information about our high quality standards Deburring Machine, please contact with us in anytime. 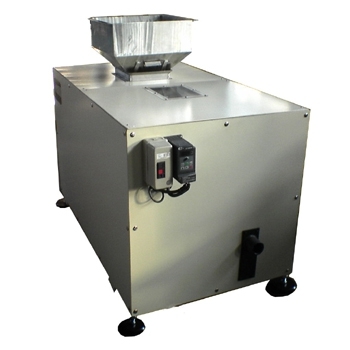 This machine is special designed for element of metallized film capacitor. After the spray process of element's two sides, thus in the margin will make burs and remainder of metal dust. The DEBURRING MACHINE is achieved by running roller to omit them, and not to hurt the elements.